It’s time for an all new update. We haven’t updated you last week since we needed some extra time to dive into all production details. In today’s update we will brief you about the production challenges we are currently facing, a new BIOS-update that’s coming, exciting top secret news and obviously the voting round for Start-up of the year 2018. We have been working around the clock to get things working as they should. Currently we are facing a world-wide lack of Ockel Sirius A and Sirius A Pro models, which is and has been a huge challenge for us lately. Since the first production batch of the Ockel Sirius A it has been tremendously challenging to get our hands on the necessary raw materials. The complete production chain has been delayed several times due to this matter. In addition to the lack of raw materials we also have set very high quality standards, with limited to zero margin for errors. This decision has been causing small delays in the past and is causing a delay for this batch as well. In our previous two updates we mentioned that we started the Quality Control process and we actually did. 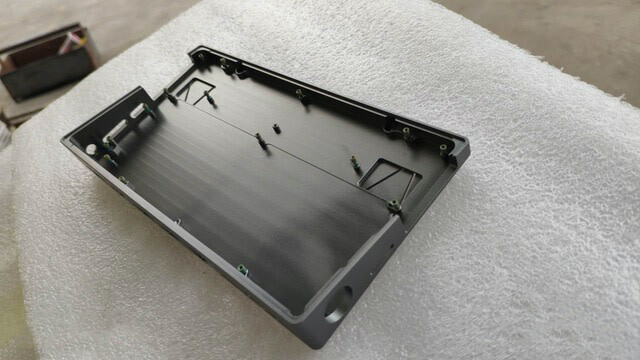 As a result of the Quality Control inspection, it turns out that a large portion of our produced CNC’ed casings require re-work. As shown on the images below, we decided to disapprove the casings as they do not match our quality standards. The lasercut, which results in a shiny edge has not been processed correctly. The disapproval of these casings will cause a production push-back of approximately two weeks. This really is disappointing news, as the CNC’ed casings already took way longer to produce than estimated. 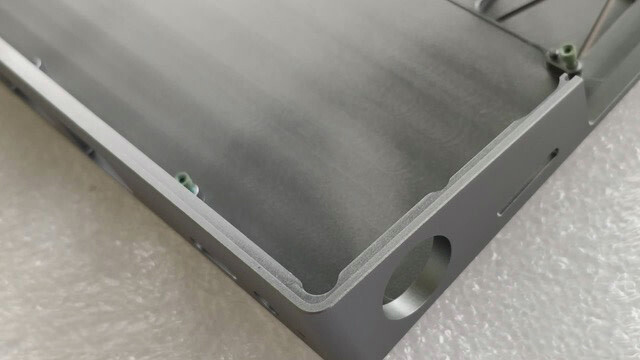 On the bright side of things: We finally received the additional components, including the PCB, LCD and Touch panels needed to finalize the semi-assembled Ockel Sirius A’s with. This means that we do have a real small portion of Ockel Sirius A & Ockel Sirius A Pro models available by the end of this week. However, the largest portion is missing due to the lack of casings. For some of you (first-in, first-out) this means that you’ll receive a tracking code on the short-term. While other orders have been postponed for approximately a few weeks from now. Our current latest estimation is that most of the Indiegogo orders will be fulfilled later this month. Obviously it is in our best interest to fulfill all of your orders as quickly as possible. The entire Ockel team is working around the clock to make this happen. We will keep you in the loop of the progress every Monday and tend to be as detailed as possible. Please also note that the Indiegogo orders are the first orders which will be fulfilled as soon as the new stock arrives. Our engineering team has finalized a new BIOS-build. The new BIOS-build will fix several network related issues and will be released soon. Stay tuned for more information about this! We are working on something huge and no it’s not a hardware project. In a few weeks from now we’ll have amazing news to share with you. As this is a top-secret project we cannot share too much right now. However, you’ll be amongst the first to get the know the big news as you have been around supporting us for years already! As you’ve helped us create the Ockel Computers company in the first place, we hope you’ll help us reach this amazing milestone as well!